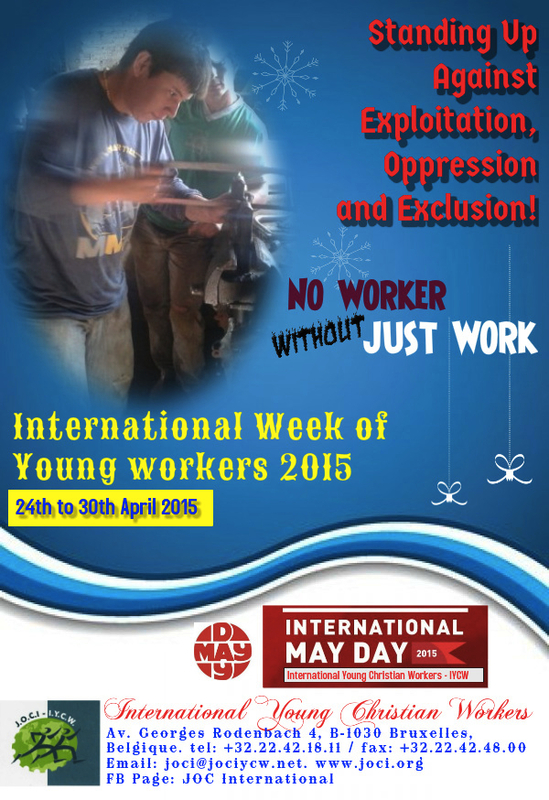 Each year since 1977, from 24th April to 1st May, the IYCW has been organizing a series of actions and activities during the International Week of the Young Workers which ends with the traditional May Day celebration. The year 2017 could not be different. 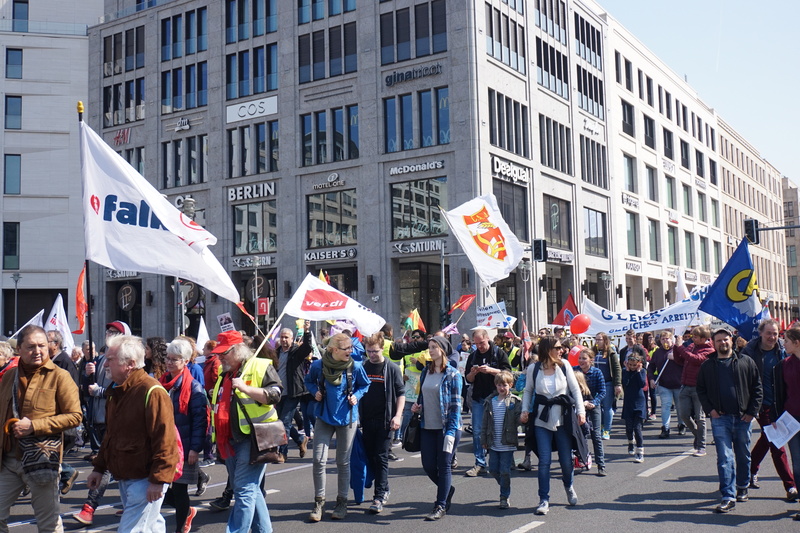 All over the world, young workers and YCW leaders carried out actions against job precariousness and instability, against all sorts of inequalities they may face in their daily life. They exposed the social, political, economic and cultural problems which keep affecting the working and living conditions of millions of young women and men throughout the world. 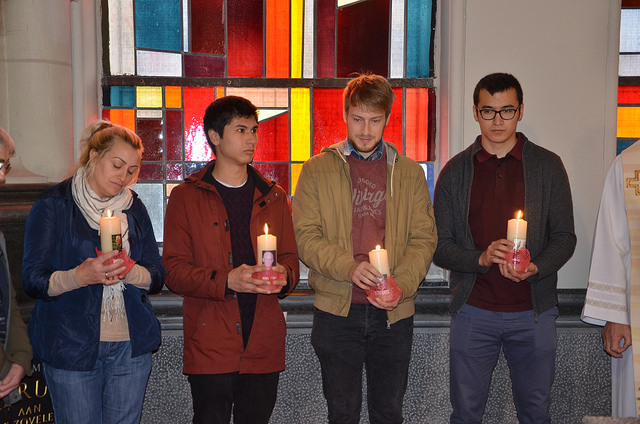 This year in Brussels, to close the International Week of the Young Workers, the IYCW took an active part in the May Day celebration in Laeken, remembering the 50th anniversary of Joseph Cardijn’s death and proclaiming enthusiastically that “Yes, Cardijn is still relevant today”. “I am Fatima Hussain from Pakistan. I am 24 years old. I live in Lahore. I applied for many jobs in different factories but in vain. In our society, it doesn’t look good for a girl to have a job, people don’t like women workers. I ended up deciding to work as a domestic worker because it is easier to get a job in this sector. But domestic workers are not paid well. They are paid PKR 1,500 per home (US$ 15). I was very disappointed by the low pay and the volume of extra work. I had to fulfill tasks that were not related to my job. 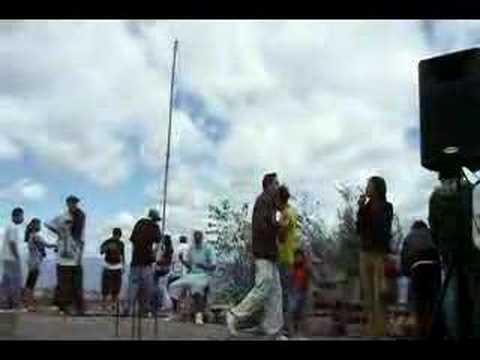 One day I met the YCW – that was a very beautiful day. In a meeting, I shared my experience as a domestic worker and the extra work. My name is George Verzosa, I come from Calbayog City (Southern part of the Philippines). I have never completed my college education because my parents could not afford to send me and my siblings to school. I migrated to Manila to find work and I worked in a sack factory as a machine operator under a contractual agency. I worked with the minimum salary, while some of my co-workers were below the minimum wage. When I had overtime hours and received extra pay, I sent it to my relatives and family way back in my province. 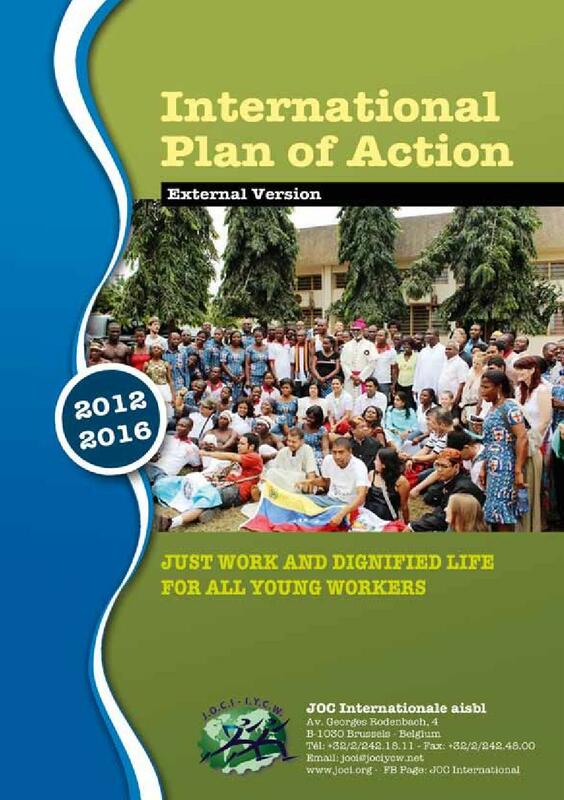 An interreligious conference was held in Uganda from April 25-28, 2017 to deliberate on working conditions in relation to the ILO future of work initiative and the sustainable development goals. 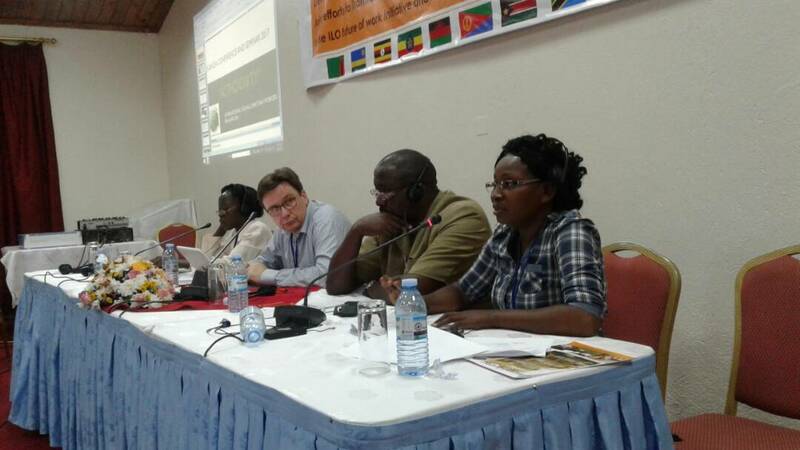 It was co-organized by the Justice and Peace Department of the Uganda Episcopal Conference, Kolping International and the International Labor Organization, with the participation of around 65 people from various countries of Africa. Doriabelle Yongala, representative of the International Young Christian Workers Panafrican Team (Panaf), presented the reality of young workers in Gabon and shared the continental analysis on the growing unemployment rate, informalization and the increasing life and work precariousness facing young people. 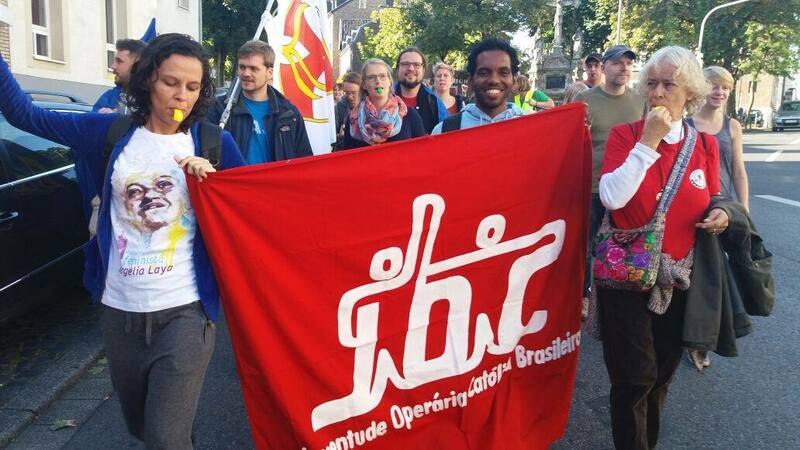 While the International Week of Young Workers comes to an end, young workers and activists in the IYCW carry out actions against precarious and unsteady jobs in the world, against inequalities in all aspects of life. Today, on the occasion of May First, we raise the flag of struggle together with popular and worker organisations and other groups acting in favour of promoting a new society where people are equal. 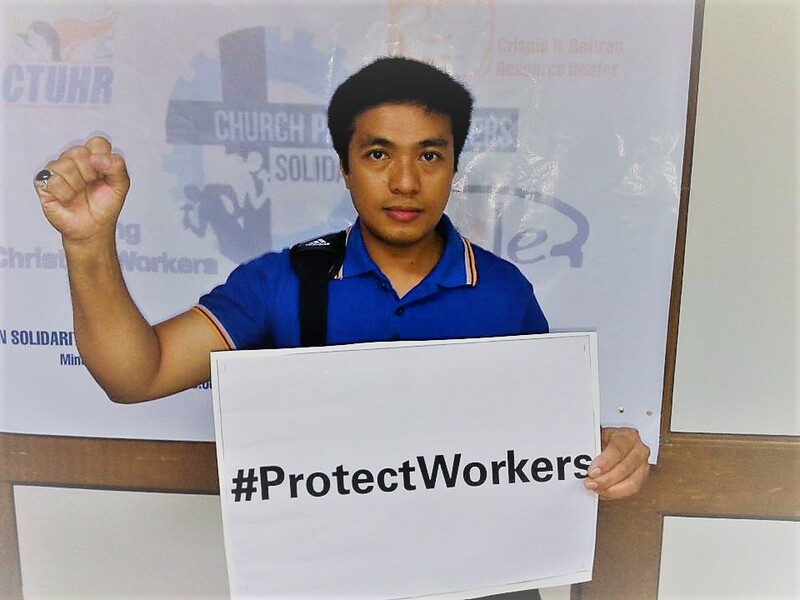 The International Young Christian Workers (IYCW) is declaring March 15 International Day against Police Violence and State Repression. 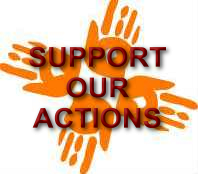 We have experiences from all around the world of increasing incidents involving the use of force by police and the military to suppress the demands of the population for Just Work, Equality and Dignified life. International Women's Day: IYCW Demands to Stop Gender Discrimination! Young People of Flanders Speak Up and Are Ready to Act!